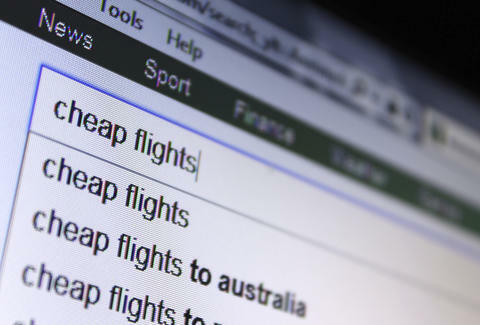 What's the Cheapest Day to Book a Flight? Unless you’re Drake, ILoveMakonnen, or you work in the service industry, Tuesdays don't mean a helluva lot to you. It's just another crappy day that's not Friday. But if you care about saving money on flights, well, Tuesday is your new favorite day. According to a recent Expedia report, the average flight ticket costs $561 when you purchase on a Tuesday, the cheapest day to buy. On Fridays, for example, tickets cost $571. And if you buy three weeks in advance, you'll save the most money with tickets costing just $515 on Tuesday, or $522 on Friday. The booking site analyzed fares for all domestic and international flights originating in the US to determine its figures. Although you won’t save a huge amount of cash by booking on a Tuesday, you'll still save a little over 5%, or approx. $28 off the average ticket price. Avoid booking on Fridays, Saturdays, and Mondays, as they're the worst in terms of pricing. Apparently, everyone wants to get away for the weekend -- or as soon as they get back into the office on Monday. Citing data from the Airlines Reporting Corporation, Expedia also found if you book 57 days before your domestic flight, you can save as much as $85 on a ticket; for international travel, booking a whopping 171 days in advance could save as much as $300. But who knows what they’re doing 171 days in advance? As for flying, Expedia suggests leaving on Thursday and returning on Monday works out cheaper for long-haul flights, and costs about 20% less than flying out on a Friday and returning on a Saturday. On shorter flights, your best bet is to head out and back on a Monday, Tuesday, and Wednesday. Other affordable combinations include outbound and inbound flights on a Sunday, Tuesday, Wednesday, or Thursday. What are you waiting for -- ticket prices to go up?! Book a trip this Tuesday, and be somewhere much warmer 171 days from now.